tax refund with no tax knowledge needed. Tax Return Sydney – Choose the option below that works the best for you. We will do the rest to lodge your tax return Sydney. City Tax has helped me for the last few years with my tax returns, Super helpful and pleasant to deal with. Highly recommended! I dealt with City Tax Accountants for the first time this year (with Elina). Amazing to deal with and helpful and fast – I definitely don’t know the ins and outs when it comes to what I am able to claim back etc but Elina walked me through it all and happy to say that have been able to get back as much as possible on my tax return! Thank you Elina and the team at City Tax Accountant – will definitely be dealing with you again next financial year! Elena is an excellent tax accountant! She has been doing my personal tax returns for about four years now and I find her incredibly easy to deal with, she is extremely efficient and fast, and always professional. I highly recommend her! I walked into Elina’s office knowing nothing and dreading it like a dentist appointment. With her personable but straightforward approach I relaxed within minutes while she went through several years of Tax Returns with me. What I thought was a daunting mess, Elina untangled expertly and concisely. Thank you! Looking for Tax Accountant in Sydney who can assist you to maximise your Tax Refund and lodge your individual Tax Return Sydney, in office or over the phone, offer asset protection strategies, tax effective business structuring, self-managed superfund, family trust or just bookkeeping? City Tax Accountants has a team of proactive Accountants Sydney dedicated to help your business evolve into a sustainable and successful one. With strategic advice and financial services tailored to your individual business needs, City Tax Accountants is here to assist you with each and every business challenge. Book your tax consultation with your Accountant Sydney today. Looking for Tax Accountant in Sydney CBD to maximise your Tax Refund Sydney? …how do I find the best tax accountant in Sydney for my needs? Following these few steps should help you find the one that will guide you, answer your questions and help you get the best results from your tax situation. Are you looking for accountants Sydney CBD to do a simple Sydney tax return, by appointment or phone where your only income is your place of employment, or do you have a more complex return, such as a business or investments? There are many companies available that can do simple returns. The only disadvantage to using one of these companies is that most of the employees are minimally trained in the tax laws, and they are there for one reason and that is to do as many returns as possible. They are usually reasonable in cost, but as in any purchase, buyers beware! Are you looking for someone to just do your taxes, or do you need someone who can guide you and help you with tax planning, family assets protection strategies and financial records going forward? If you are looking to increase your tax refund Sydney, stocks or real estate holdings you may want more than just a tax agent that fills tax return. These types of determinations can and will have an influence in the type of tax accountant you will need to search for. Once you have determined exactly what you will be looking for in the accountant, now you have to begin the search for them. 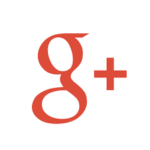 A good place to start is the Google. Look there for all of the ads that list the type of tax accountant in Sydney CBD. Make a list of the ones that you think will fit. Check to see if they are registered or certified or chartered. In Australia all accountants must be registered and you can check with the Tax Agents Board to make sure the ones you are interested in are. Ask family, friends and business associates. Your attorney or banker may be a good source of information also. Visit offices and speak to your candidates. Most reputable accountants will welcome the free first consultation. First impressions can sometimes be the correct ones, so look to see if the office looks professional. Does it appear to be organised? The answer to that question may be an indication as to the type of work they do. Trust yourself with how you feel concerning appearances and the way you are treated while you are in the offices. You are going to have to intrust your financial information to one of these potential accountants, if you don’t feel comfortable, chances are you need to move on to the next candidate. What do they specialise in tax return? Many accounting firms specialise in areas that may or may not pertain to your needs. What is their customer service like? Do they charge for every phone call or letter? Do they email clients with tax news and updates for free? The pricing for their services may be acceptable, but if there are “hidden” charges this may make for an unpleasant surprise when you receive their bill. What is their pricing for tax return ? Do they charge by the hour, or is there a set fee for a particular type of work or tax reporting period? Besides being registered with the Tax Agents Board are they members of any other organisations? 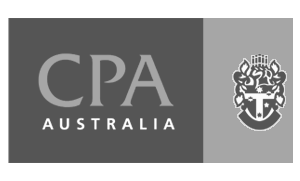 Most accountants will display proudly any associations they are members of (CPA Australia, Institute of Chartered Accountants). These may give you an idea as to how diligent they are in keeping their reputations on a high level with these organisations. If something should go wrong, you will have other avenues to voice your complaints. There are even questions you need to ask yourself. Did they ask you questions? Did they spend time trying to get to know your expectations and financial goals? Did you leave feeling like you learned what you needed to know to make an informed decision? No matter who you decide upon, you are ultimately responsible for all information in your tax return and tax debt you may have. If you do not provide all of the information for the accountants to prepare a return, you will be held responsible. Your financial information should always be kept current. Keep records that are complete with supporting documentation. You should plan ahead for tax due dates, audits or any other financial checkups that may help your tax accountant Sydney. Be willing to accept advice and to make recommended changes to your finances. Know what you need in a tax accountant. Your knowledge of the basics will help you determine what type of accountant you are searching for. Do your research. There are many online sites that you can access free of charge that will answer questions, and give information, like certifications, registrations and business practices. Ask questions, and consult people you believe and trust in to point you in the right direction. Take responsibility for the information you provide to your tax accountant. You can have the most prestigious of firms, but if you do not provide them with the right information for preparation of your Australian Tax Return, the result could cost you in higher taxes, fines and penalties. You are ultimately the one who can make the best decisions for you, your company and your future. The best accountant in Sydney CBD is one that you feel the most comfortable working with. Use them and the information they provide to improve your chances of success and to increase your tax refund Sydney.